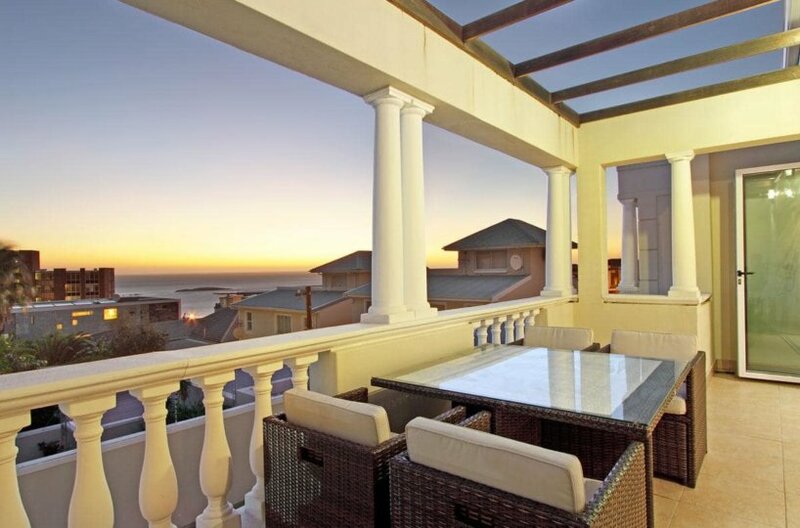 Echelon is unique, newly renovated luxury vacation rental in Sea Point. 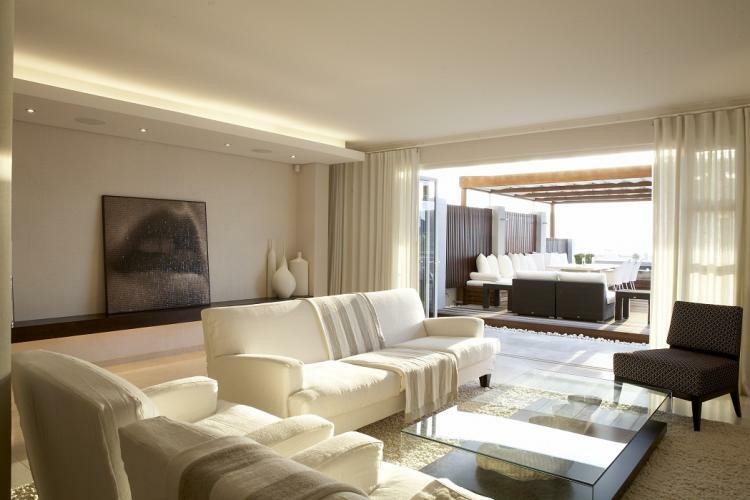 Styled in elegant contemporary designer fabrics and modern art set against a white palette, makes this an opulent retreat for the self indulgent holiday maker. 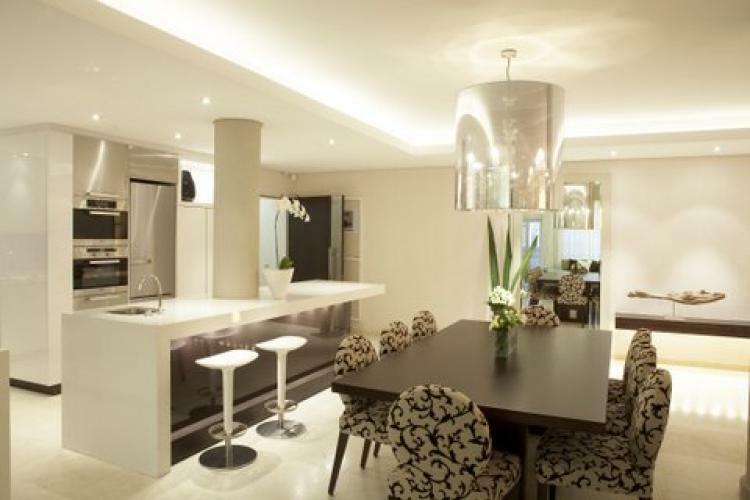 This luxury apartment enters into an open plan kitchen and living room area. The kitchen, with gas stove top, convection oven, grill and warming tray has sleek designer cupboards and a smooth, pristine work island. In contrast with this is the grainy earthiness of the huge fossilised shell on the coffee table in the pristine living room. 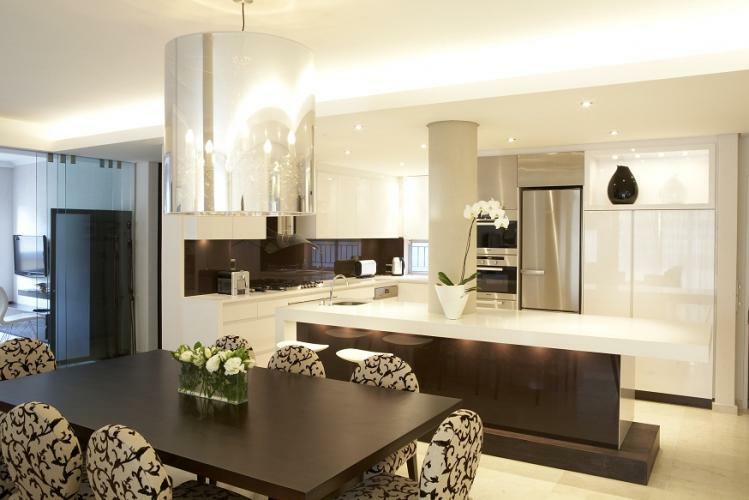 Above the six seater mahogany dining table is a breathtaking crystal drum chandelier in dramatic opposition to the bleached whale bone on the living room wall. 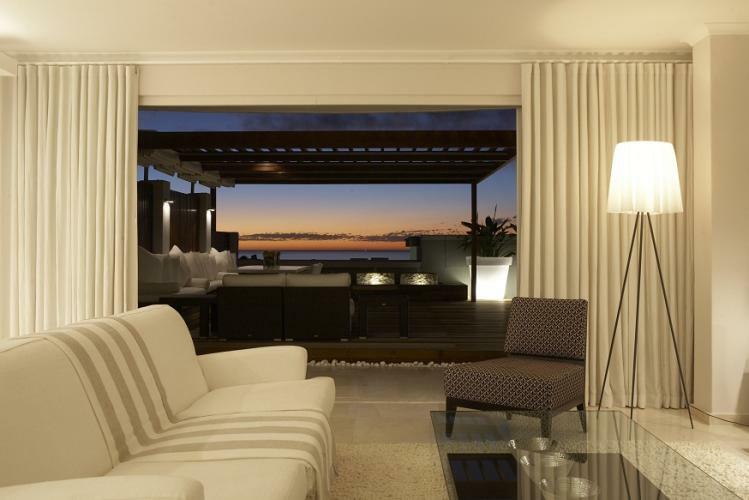 The open plan living room space is maximised by seamlessly flowing onto the balau timber decked patio. A foldaway deck-cover awning provides much needed shade and privacy for hot summer days. 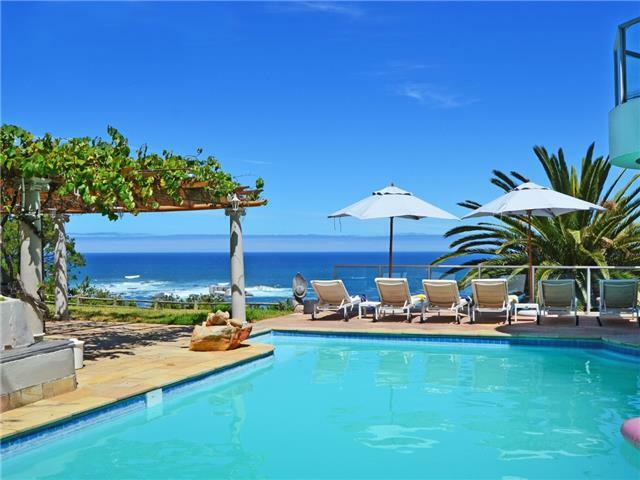 A private rim flow pool overlooks the majestic Atlantic Seaboard in the distance. Masses of white cushions and over-sized planters that light up dramatically once the sun goes down make this the ultimate entertainment area. The master bedroom with king size bed leads off the living room. Ample wardrobe space, glittering Swarovski crystal bedside lamps and a high-gloss mirror frame contrast against the split marble feature wall. 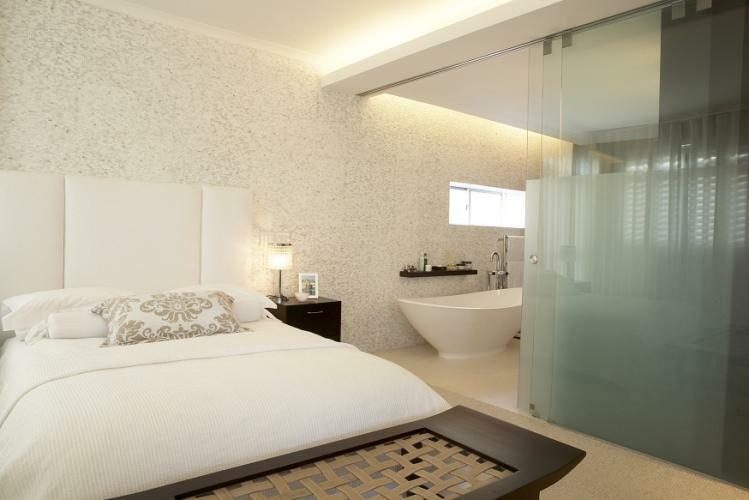 The en suite bathroom features a luxurious free standing bath and spacious shower which are discretely kept by sliding panes of frosted glass. The second bedroom has two single beds and a dedicated bathroom. An informal living room-come home office are split from the formal open plan living and kitchen area by sliding panes of glass. 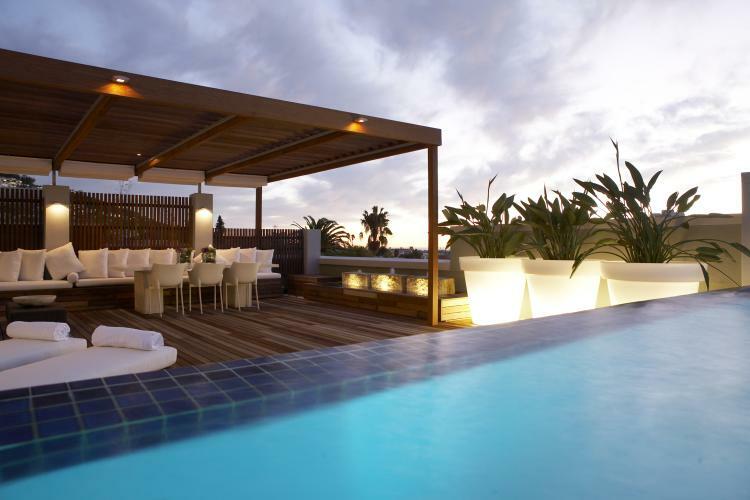 The apartment is air-conditioned, has wireless internet and all the additional amenities including a nespresso coffee machine, meeting the avid traveller’s every need. Not suitable for children under the age of 12 years. The apartment is located in a sound sensitive complex. No parties are allowed. The apartment block is secure, however does not have an alarm system.